In this article, you will learn how to copy and move cards between boards. 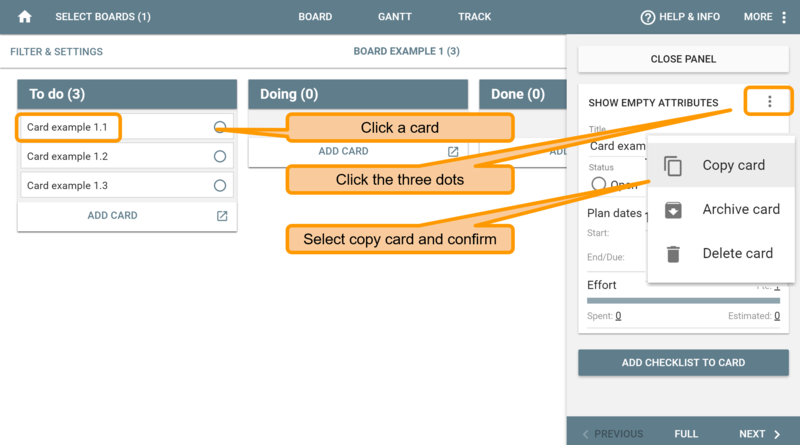 Now, let's see how to move cards from one board to another, for example, from Board Example 1 to Board Example 2. 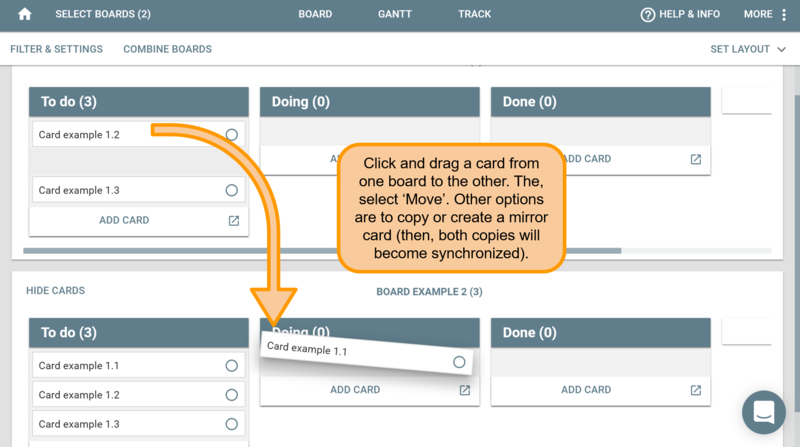 Now, we can click and drag a card from one board to the other.